When wintering in the Algarve there are lots of options for keeping fit which of course is no bad thing in a place where the wine is cheap and the opportunities for inexpensive dining are plentiful. Whether its walking on the beach or getting in a round of golf there are a lot of options. For us it includes attending classes for the over 55s called Viva Mais which translates into Live Longer or Live More. There are two classes a week - floor work in the gym and then aqua aerobics. 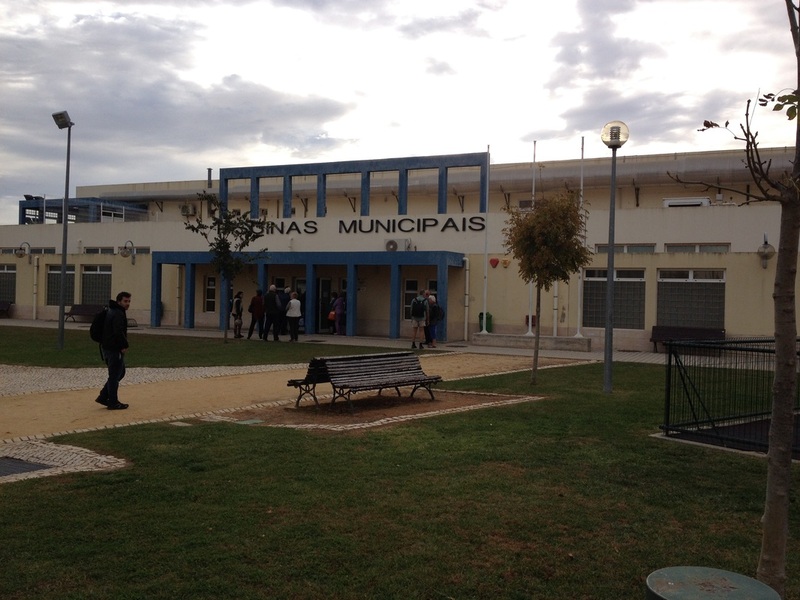 Tavira has a large sports complex including swimming pools (four pools including a 25 metre one) a large gym and tennis courts to the rear. Both the gym and the pools have seen better days but they are clean and well used. 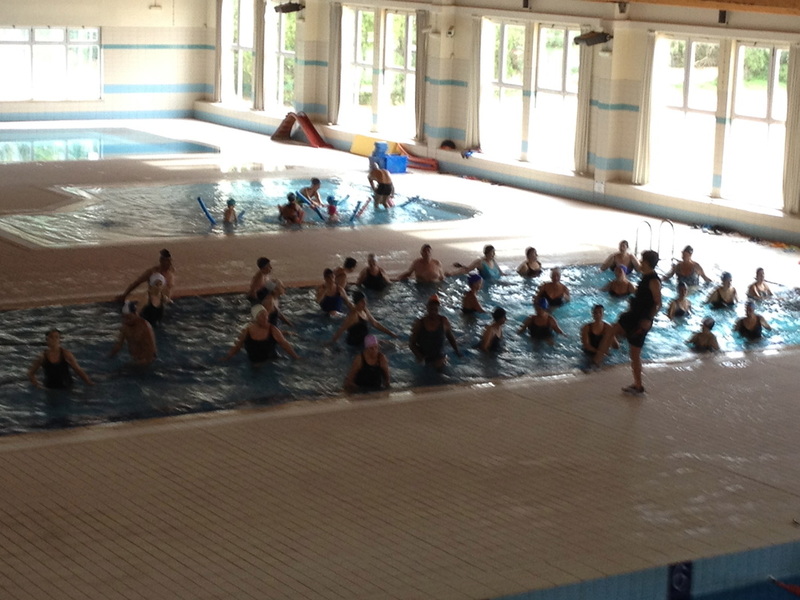 Often in the pool next to our aerobics class there is a swimming teacher taking a class of 4 and 5 year olds. It's just him, and it is fun to see him working with the enthusiastic youngsters, sometimes chucking the tots into the water or clamping them between his knees in order to squeeze their heads into the compulsory swimming caps. Our particular classes have been led by Fernando for several years and he has obviously become a bit of an expert in understanding what exercises us oldies can and should do. Lots of stretching and balancing work. His expertise became apparent a couple of years ago when he was off sick and we had a substitute teacher more used to working with younger folk and who had us doing squat thrusts in the gym. Fortunately Fernando made a quick recovery so we did not have to mutiny. At our age we come in all shapes and sizes and both the fit and the unfit. It is mostly Portuguese who attend but there are a small number of other nationalities, mostly Brits. Despite this all our instructions are in Portuguese but you soon learn to keep an eye on Fernando who always demonstrates what is needed - this of course helps the hard of hearing of which I think there are many, as well as us foreigners. These courses start in November and run for about six months. Some years there is a free tee shirt for those who have stayed the course. What is surprising about this is that these classes are free (as is the tee shirt). Frankly I would not mind paying as I know that Portugal could do with the money even if its only a few euro from me but this initiative is to get older people fit and so it has to be free and it would probably be against EU legislation to charge us winter visitors.